This website collects information about the Jewish community of Šiauliai, Lithuania, known as Shavl in Yiddish. The community numbered almost 10,000 out of about 17,000 in 1902. At this period, it was already the 3rd most populous city in Lithuania, lying at a major road and railway junction. It was known for its leather industry, and was home to the biggest leather factory in the Russian Empire (owned by Chaim Freinkl). In 1915 the entire Jewish community was expelled by order of the Tsar, but many returned again when allowed to do so in the early 20's. The community was decimated during the Shoah: of 8,000 Jews still living in Shavl in 1941, only 500 survived. Only a handful of Jews remain there today. Join the Jewish Ancestry from Shavl group on facebook! Selected excerpts about Shavl from "Adventures of Life" the memoir of Pauline Podlashuk, born in Shavl in 1881, up to and including her last visit in 1923. 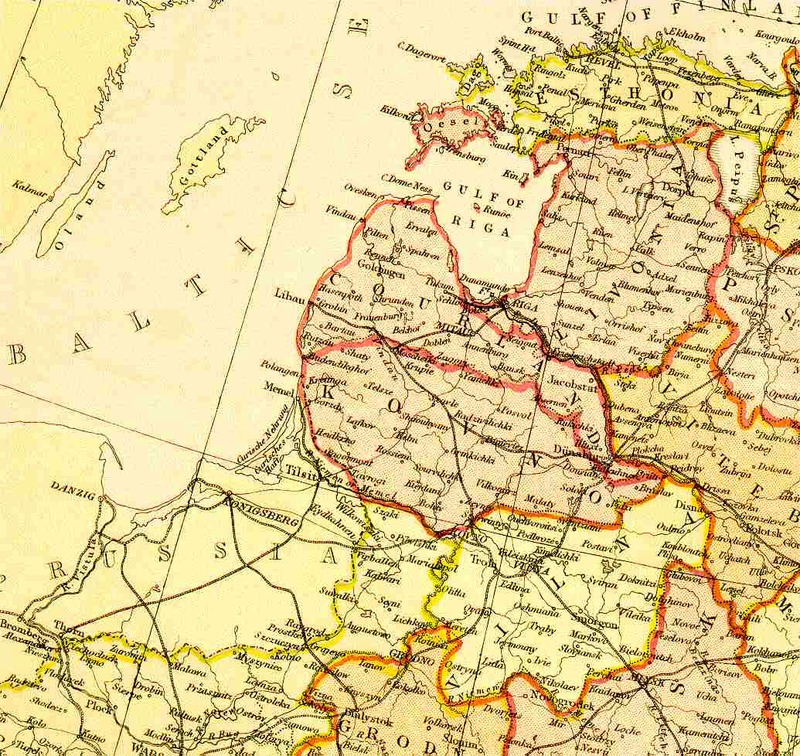 Click on the image to view an 1882 map of Russia's Baltic Provinces. Information about the different districts, countries the town belonged at different periods in its history may be found here. The Siauliai page from Encyclopedia Judaica. The Siauliai page on the International Jewish Cemetary Project. Siauliai page on Eilat Gordon Levitan's site. Many photos and other material. Shavl Yizkor Book (in Yiddish) by Levi Shalit downloadable from the National Yiddish Book Center. A translation of the table of contents and index in English may be found here. Search The Central Database of Shoah Victims' Names. The JGFF is a database of towns and surnames currently being researched by Jewish genealogists worldwide. Click the "Search the JGFF" button to find others researching family connections to Siauliai. Click here to add your own information or learn more about the JGFF database. The Washington, D.C. museum has a database of documents you can search for references to Siauliai. Click here to learn about the museum and its archives.